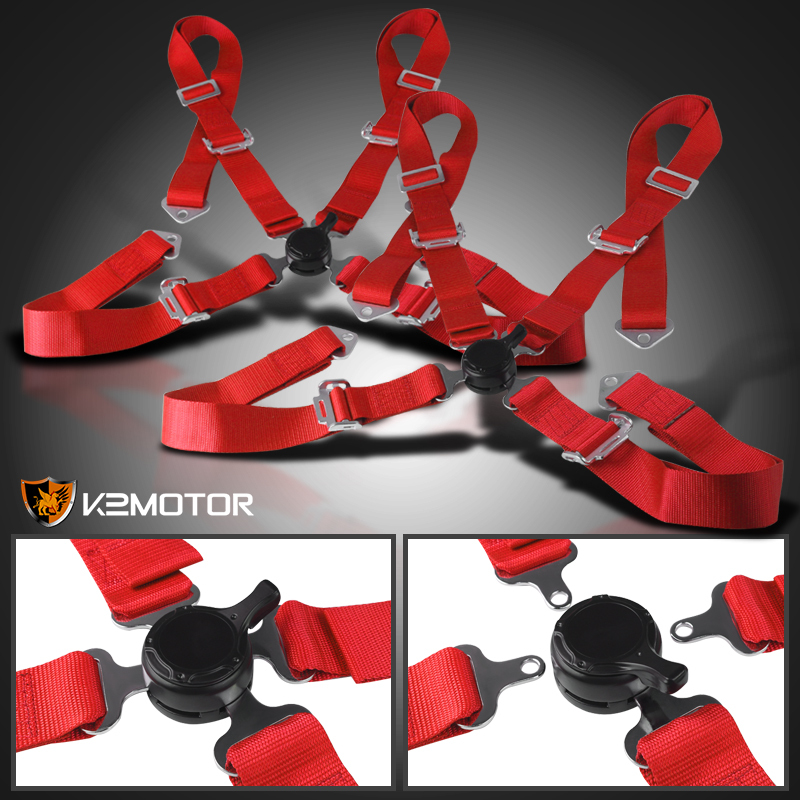 Shoulder straps extend to maximum of 76.25"
Brand New Pair of Universal 4Pt Camlock Racing Seat Belt Harness (Red). Designed for Extra Safetry to accompany your Racing Seats for Comfort, Support during Hard Cornering and Aggressive Driving. 4 Point Mounting System with Waist protection.